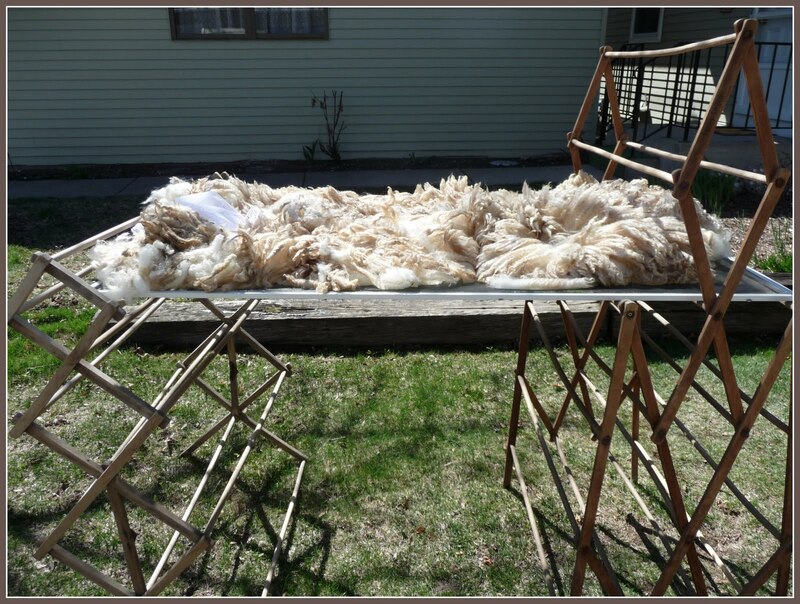 Curly Bird Express: Fleece Sorting And Scouring Season Has Begun! Now that is a creative sorting table. I should take a photo of what I do. I am already starting to sort for my clients and that is just finishing up last year's shearings...it will be a busy next few months sorting for me. Sorting while standing is the way to go and the way I was trained. Especially if you spend the whole day sorting. Have fun. That's a great set-up Melissa. The fleece is beautiful. How long is that lock? Happy Fiber Arts Friday! Gotta love necessity and inspiration - that's a very crafty way to go about fleece drying. I can't wait to see it spun up! Please post pictures as you progress through the process ... I've never started with raw locks before, I'm curious. I had to smile when I read your post. I also use screens because they are just so light weight and portable. What a lovely looking fleece. Very creative! 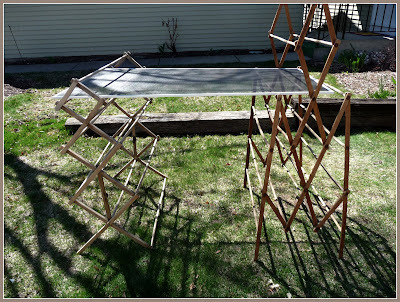 I like the adjustable drying rack idea. 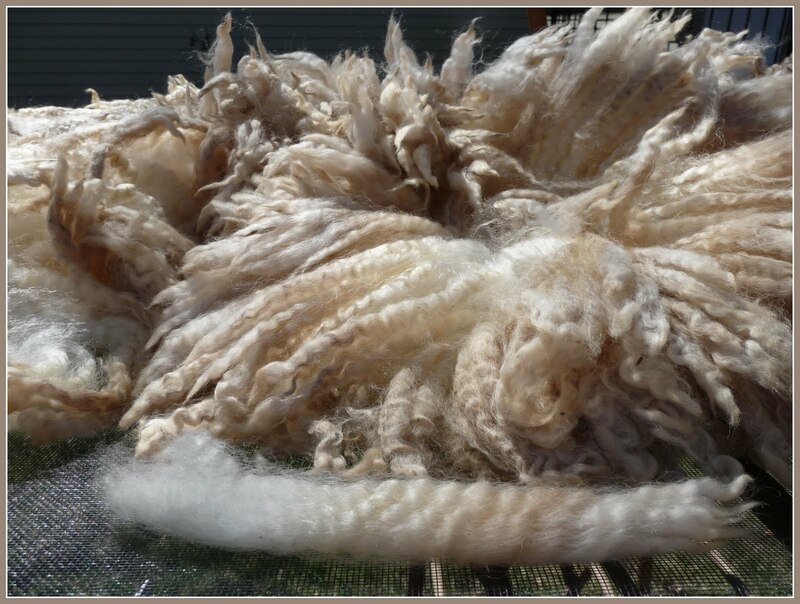 The fleece has beautiful crimp and luster. What type is it? Fabulous fleece. Makes me want some. The racks look great and am thrilled they work so very well for you. They served me well for some years too. Some thing I did too was spread a sheer curtain over them and could tie all four corners together and transport a bag of wool around. Hope to see a sample next month. Great sorting table! I love those dryer racks. You are right they are really nice. And they sparkle! Nice fleece too.